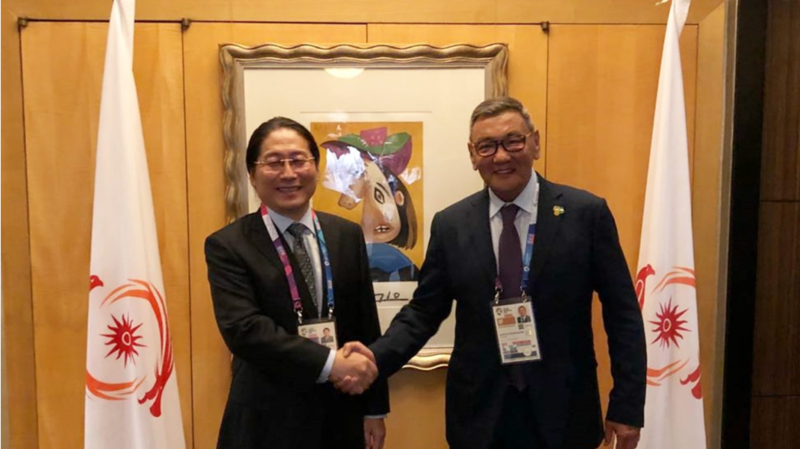 International Boxing Association (AIBA) Interim President Gafur Rakhimov has met with First Commitment International Trade (FCIT) chair Wu Di at the 2018 Asian Games here in Jakarta and Palembang. As an important stakeholder of AIBA, the discussions focused on future partnership possibilities, including enhancing the current co-operation between both organisations. Recently, AIBA signed an agreement with FCIT aimed at creating a new joint venture to manage the marketing programmes of both AIBA and the World Series of Boxing. Both organisations have cultivated close relationships since then and are focused on further enhancing their collaboration in the lead up to the World Series of Boxing finals, which are due to take place in Xiamen in China from September 26 to 28. "FCIT is a strong partner for AIBA and they will continue to play a key role in our organisation as we further grow and develop our sport worldwide," Rakhimov said. "I would like to thank FCIT for their trust and look forward to continue developing our successful partnership." Wu Di added: "We have been working with AIBA for several years now. "It has been a true pleasure to collaborate with the new AIBA leadership these last months." Wu Di previously invested CHF19 million (£15 million/$19.2 million/€16.7 million) into Boxing Marketing Arm (BMA), which was involved in the dispute that ultimately led to Rakhimov replacing C K Wu in the top job at AIBA. Wu claimed in October of last year that the then chairman of the AIBA Disciplinary Commission, American Tom Virgets, had a conflict of interests because of his association with BMA, set up to promote and sell rights for all AIBA products. Wu Di filed paperwork on May 31 in 2017 requesting that the money he invested into BMA be returned. Earlier that month, AIBA had signed an exclusive global marketing agreement with Alisports, the sport division of Chinese e-commerce giants Alibaba, leading to BMA being closed. AIBA claimed this decision was taken by the BMA Board, including Wu Di. 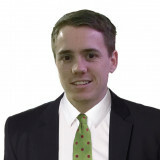 Virgets is now serving as AIBA’s executive director. Boxing competition here at Jakarta Palembang 2018 is due to begin on Friday (August 24). It will be spread across eight days with medals being awarded on August 31 and September 1.